Question: Is this normal? 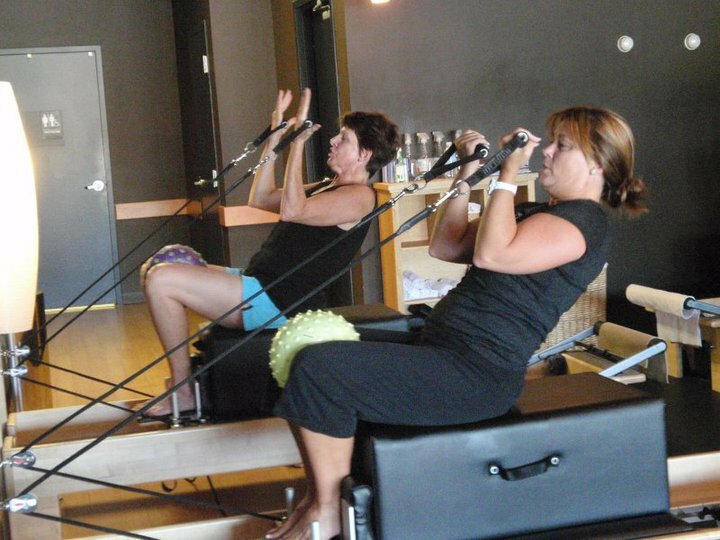 : Pilates - Need balls? I teach Pilates. I went through training starting back in January and I started teaching by May. I love it and I'm starting to get a lot better, but I still have a lot to learn... obviously! By the fourth hour of teaching I just can't help it. My brain starts to go a little mushy and my tongue starts to get tied. "My Dad just says guys need balls." Little did I realize what actually came out of my mouth! All the women started dying! I don't think the guys laughed, but then again I was too embarrassed to look at any of them. I could feel my face turning bright red and I felt like I was an oven burning up. I got everyone into the exercise as quickly as possible, and luckily they all had their backs toward me... at least they were supposed to. The women were still laughing and kept looking back at me. My Dad (yes he is a pilates fanatic and is now in teacher training) told me and my Mom that guys just simply need a ball to put in between their knees since it is a little harder for them to adjust and bring their knees together. Well this is easier said by him than by me. I didn't bother explaining myself. I thought that I would just end up digging myself a bigger hole. Mmm Chicken Nuggets! Mmm Silly Putty!